Little Rory is 6 years old , he has cerebral palsy. It’s his wish to WALK !! Our Rory's our world ! He is an amazing wee boy , he’s a little brother to Lily & Kyle and while he’s the smallest he’s the “big boss” ! When he was 8 months old, we were told he would never talk or walk. Rory can talk & with help we know he will WALK !! Rory will require care for life & his needs are vast but we feel so blessed to have him here with us, everyday with Rory is a blessing. When Rory was born they didn't know if he would make it past his first day. The next few weeks were very difficult, Rory was in intensive care , he fought very hard and never gave up , to this day he's still fighting . Rory's full of love and devilment, he's a little boy that loves boxing which is no surprise to us as he has been fighting since the day he was born!! Rory is requiring double hip surgeries at a cost of 121,334 he will travel to Boston Children's hospital when he is strong enough and undergo Femoral Osteotomy, this surgery has to be carried out on both of his thigh bones. He also requires a pelvic ( hip ) Pemberton fosteotomy surgery on both hips. 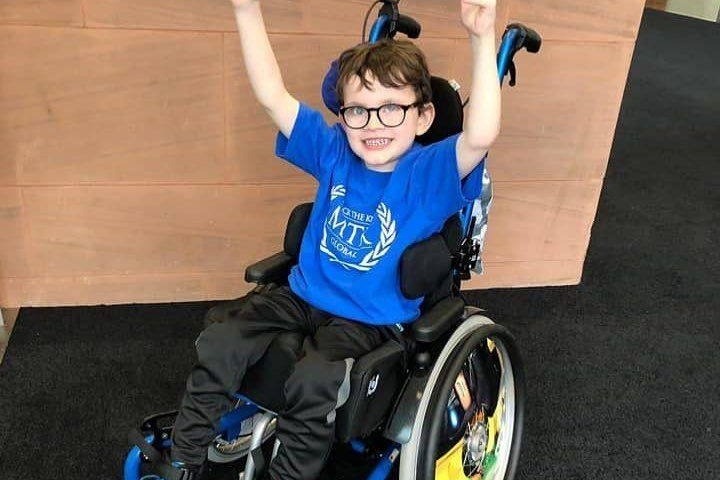 Rory is requiring intensive physiotherapy , neurological rehabilitation along with other interventions such as Occupational therapy , Speach & Language therapy & hydrotherapy to help him to live comfortably. Ideally Rory would require a hydrotherapy pool at home , this is something we hope we can achieve for Rory. From the bottom of your hearts we wish to say a massive thank you to everyone that is supporting our little boy .